Auto insurance isn’t one-size-fits-all. In Alberta, there are many different types of auto insurance that offer various degrees of coverage, and each is unique. Determining which type you should purchase is a matter of understanding what they all entail and choosing which one best suits your needs. To help make this process easier, we are going to give you an overview of the different types of auto insurance options available so that you can make an informed decision. 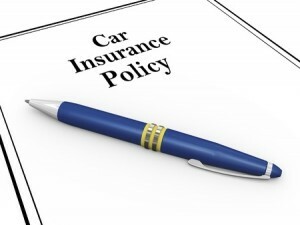 Commonly referred to as third-party liability insurance, this type of auto insurance is legally mandatory for drivers in the province of Alberta. It is a legal safeguard that covers damages caused by your vehicle to another person or their property. The Province of Alberta requires that a driver have a minimum of $200,000 of coverage. Accident Benefits are also legally required in Alberta. They cover passengers of a vehicle in the event of injury or death – regardless of who is at fault – including medical and rehabilitation costs, funeral expenses, death benefits and income replacement. It also includes uninsured motorist coverage, which protects you in the event of an accident with an uninsured driver. This type of coverage pays for repairs to the policyholder’s vehicle in the event that damages are incurred in an accident with another vehicle or object. This type of coverage pays for repair or replacement regardless of whether or not you are at fault. This type of insurance is not as extensive as comprehensive insurance but offers more protection than collision insurance. It covers damages caused by whatever perils are specifically named in the policy that is not the result of a collision, for example, theft or fire. If the damage is caused by a peril that hasn’t been named in the policy, it will not be covered under this type of insurance. Comprehensive insurance covers damages to your vehicle that were not the result of a collision. It includes protection against instances such as fire, theft, vandalism and environmental/weather-related damages. As the name suggests, comprehensive insurance offers the greatest degree of coverage of any type of auto insurance policy. Let the experienced insurance brokers at ARC Insurance help you secure the auto insurance policy that’s best for you. Call today at 1-888-633-9898!